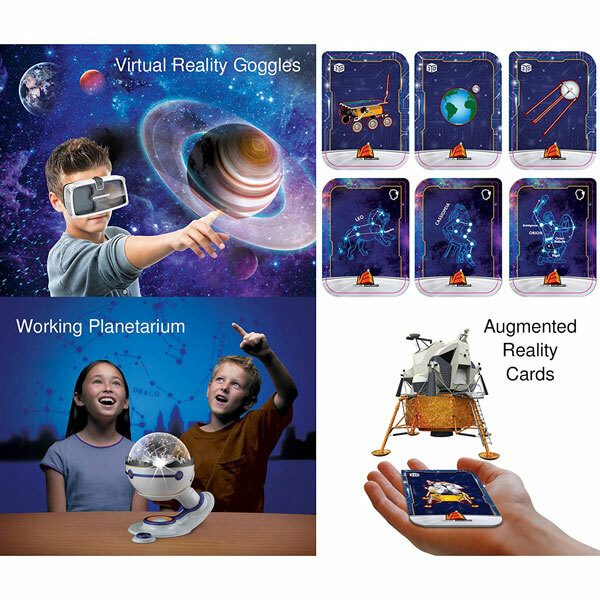 Shifu Space: comes with 60 augmented reality cards to help your children learn about the solar system, satellites, missions, and the key people involved in that field. 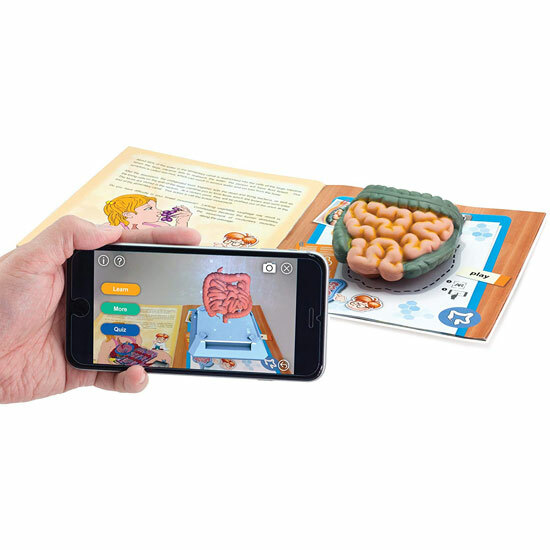 AR Anatomy Kit: lets users dissect and understand 11 organs. This model stands 20 inches tall. The app can recognize different organs to show the relevant info. 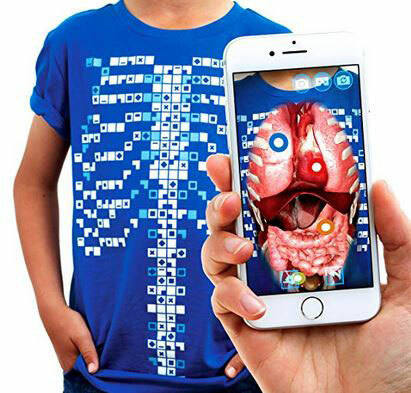 Curiscope Virtuali-Tee: a T-shirt that combines with your iOS/Android device to teach you about the human body in an interactive fashion. Users will be able to isolate internal organs in 360 VR mode. Spicebox Books 4D Chemistry Kit: an augmented reality science kit with 10 chemistry projects. 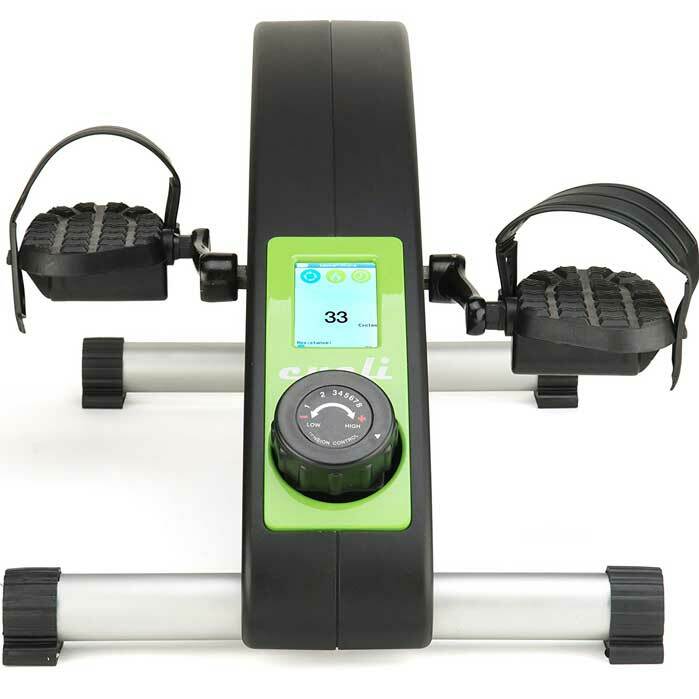 It has step by step instructions and animations. 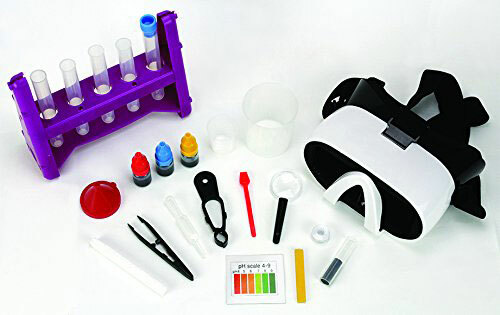 You get test tubes, beakers, magnifying glass, and everything you need to get started. Oregon Scientific AR Globe: a smart globe that helps your kids explore the world and constellations. Its augmented reality app teaches users about languages and facts on 195 different countries. Triceratops Dinosaur DNA Kit: a cool kit for those of you interested in becoming a paleontologist. Let you excavate a glowing dinosaur skeleton and bring it to life with augmented reality. Uncle Milton Virtual Explorer Space Expedition: a 4-in-1 AR STEM kit that teaches you about constellations, space expeditions, and more. It comes with VR/AR cards to unlock interactive content. You can use the VR goggles included with many other VR apps. Have you seen cooler AR STEM gadgets? Please share them here.